Looks like there is a missing field in one of the requests; attached is a wireshark log for the bootstrap command. This bug makes Go Juju unusable with MAAS. Minimal. This simply defaults a parameter that tells whether to store empty files or not. Seems to be failing on versions after 1.11.2-3~1414~raring1. Creating an empty 'provider-state' file is part of the boostraping sequence now and MAAS rejects empty files… I don't see why MAAS should reject empty files so I'm reassigning this bug to MAAS. Any chance to see this fix in raring? Second the request for a fix on raring. I am "dead in the water" until then. What does this mean? 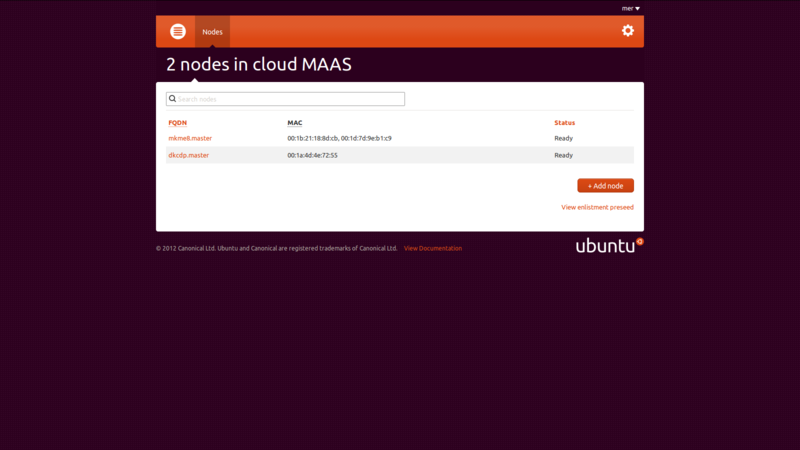 I have two nodes in my MAAS, so that shouldn't be the instances not found. 2. You need to "juju bootstrap" first. I am waiting for a raring fix too. Is there anything I can do to help? The precise-proposed maas packages did fix this issue for me. Looking forward to their promotion to updates! I was hitting the same issue on raring, and updating to the package in proposed fixed it for me. I can also verify that the -proposed set allows me to avoid the bootstrap issues on Precise and juju-core 1.13. So far no new breakage / regressions have occurred with this update. This has fixed the problem for me too, but it potentially has introduced another one. When upgrading maas from raring-updates, maas-dns is removed which is causing resolution failures due to my maas nodes pointing at my region controller for DNS (which is no longer listening for queries). Looks like a minor version difference, but I'm very new to apt and would need guidance if there is perhaps an easy way to fix it. I've applied http://launchpad.net/ubuntu/+source/maas/1.2+bzr1373+dfsg-0ubuntu1~12.04.2 from precise proposed into a fresh maas install and I get the same error.